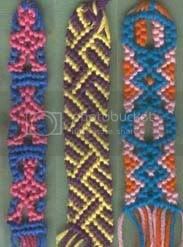 These are the last 3 patterns for this set. The instructions will be coming along shortly but I just wanted to include the picture for anyone who was wondering. There are quite a few options for these. This is just one of three that I've made recently. I didn't know that you had to have a Blogger account to comment... hope I didn't inconvenience you too much. which pattern is the third to the right? i am stuck on the eigth pattern set i need help with them. i love the patterens and would love to make them but i need the text instructions. I know the old iphone doesnt. But someone told me the new iphone 3g s responds to fingernail touches rather than finger tips. Thank you.